Cotton Crib Sheet - looks great with grey, white, or royal blue. You can upgrade to the licensed Dodger print or minky for $16 more. Excellent quality and fast shipping!!! 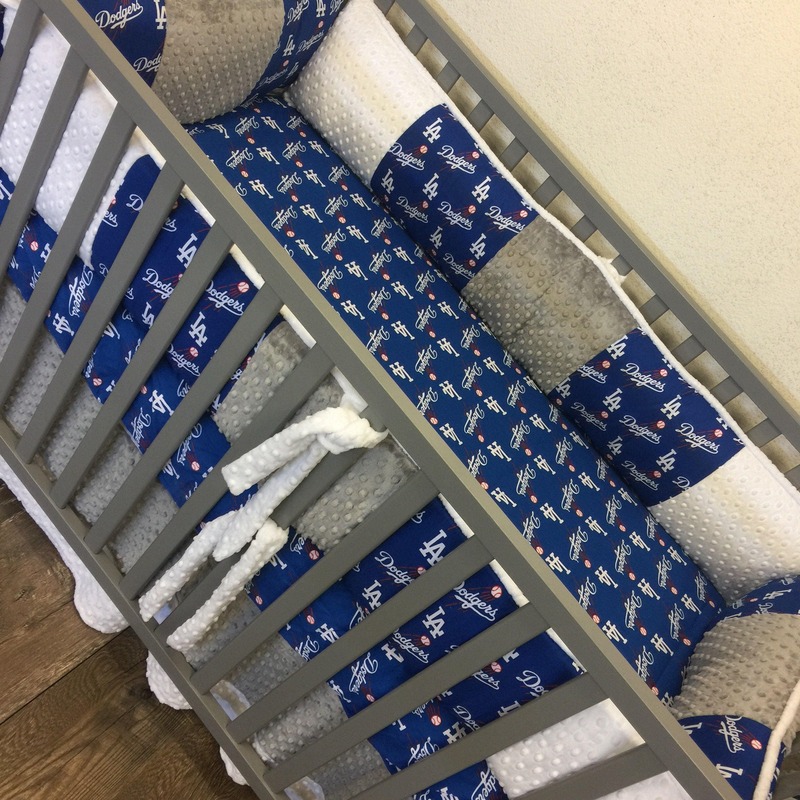 We love this so much, can't wait for baby to arrive so we can take pics of him and his dodger bedding! !